Chaubey is talking about the "teal" component (which Estonia Biocentre observed years ago) whose nomenclature remains an open issue. The ASI affiliations of the Ramayana cited tribes is quite interesting. Dating using autosomal chip data is a bit problematic IMO. More or Less Expected Conclusions IMO and of course interesting. Yes, quite a stupid mistake to call ANI and ANE the same thing. But of course it refers to ANI (which is the teal component, yes). But then again, Lazaridis, Reich, etc... are the ones who created the term ANI to refer to the non-ASI part of South Eurasian populations. So ANI was a population like Pathan/Kalash without ASI. Then this same team found the same population mixed with EHGs in the Yamnaya samples, and instead of using the same term to refer to it (ANI), which would have saved us a lot of confusion, they called this population "Armenian-like" (and then we used the word "Teal" based on the colour used in the Admixture graph, for lack of a better word to refer to it). So if the team who invented these terms cannot use them consistently, what can we expect from the ones who only read about them? I dont think that ANE and ANI is same thing either bu David, have you ever seperate ANI and ANE in your Admixture calculators? While ANE seems much morerelated with steppe, ANI seems buch more near eastern. But we can not distinguish them in any Eurogenes calculator. ANI doesn't come up as pure component in any of my tests. It's usually expressed as both Near Eastern and North European admixture. And of course ANE has 0% Near Eastern input. So there's no reason to conflate the two. Btw, what would be the point of separating ANE and ANI in the same calculator, when ANI is just a mixture of ANE, Basal Eurasian and WHG? "Notably, the Andaman Islanders are not the only population carrying the ASI component exclusively, as was suggested before . Austroasiatic speakers (more precisely, the South Munda) of the subcontinent also seem to possess the ASI component in near unadulterated form"
IF this is correct then the whole ASI is intrusive into South Asia from the east. That doesn't leave many options for an indigenous South Asian population. They didn't find ASI in "near unadulterated form". What they did was substitute it with something similar. When we eventually get ancient DNA from pre-Neolithic India, ASI won't peak in Andaman Islanders. It probably won't even show in them at all. Terry, is your idea then that true palaeolithic Indians were only ANE, and that is where Malta boy's ANE comes from? However, I do not believe that Malta boy's ANE and this hypothetical Indian ANE were identical 24 kya. The word "intrusive" does not sound so good, as it gives the impression that ANI-rich North Indians are more autochtonous to India than South Indians. The common sense says that East Indians are more Southeast Asia-mixed and North Indians more Central Asia-mixed. "ASI won't peak in Andaman Islanders. It probably won't even show in them at all". I think you are absolutely correct. The Andaman Islanders look to have come from somewhere north of the islands, via Burma? "is your idea then that true palaeolithic Indians were only ANE, and that is where Malta boy's ANE comes from?" We only know that MA-1's Y-DNA was R of some sort. Presumably that arrived on the steppe via South Asia but we have no idea how much other South Asian genetic material he still carried. Perhaps none. But Y-DNA K2b2 had presumably carried a great deal of SE Asian genetic material from its source into South Asia. Things were getting really mixed by MA-1's lifetime. "I do not believe that Malta boy's ANE and this hypothetical Indian ANE were identical 24 kya." Nor do I. We know of at least two Y-DNA lines that had entered Central Eurasian and become extinct by his time: a sort of K2a at Ust-Ishim, and a sort of C1b at Kostenki. We also have an as yet unknown (by me anyway) at Oase. Presumably other genes from those movements had survived in the region to mix with any later arrivals. "The common sense says that East Indians are more Southeast Asia-mixed and North Indians more Central Asia-mixed". Yes, that the case, regardless of the composition of any 'original' South Asian population. There must have been one for Y-DNAs F and H had entered the region and presumably K2 had passed through. "We also have an as yet unknown (by me anyway) at Oase". I've just been reliably informed it is K2a* as well. This is coincident with a criticism I just issued in another thread to your "K8" (ANE+K7) calculator, which lacks Gedrosian/ANI and the ASI components, what inevitably causes an artificial and very marked increase in the amount of ANE measured in that area (much of West Asia and all South Asia). I must say I did not read this before that other comment, it is rather a coincidence. ANI/Gedrosia are modern composites in part made up of ANE. And in the K8 ASI is represented in large part by the South Eurasian component. I don't think so. The fact that you are ignoring that component (as well as ASI, what remains without explanation) is the cause of the very striking differences between your ANE estimates and those of Raghavan 2013 for the whole two regions. You are artificially inflating ANE much like if you would not use WHG in Europe. Raghavan et al. don't provide ANE estimates for South and West Asians. David's K8 is pretty solid, if the model in question is ANE-WHG-EEF (in this case, EEF striped of some WHG affinity, "ENF"). All the estimates obtained in it match all the published estimates in Lazaridis et al, which is quite impressive. Also, it is strange that the Gedrosia component is constantly brought up, even though it is a construct obtained via ADMIXTURE in conjunction with solely modern samples, not anything even remotely based on formal methods in conjunction with aDNA. For whatever it's worth, new aDNA has complicated the ANE-WHG-EEF model in some very important ways (so the K8 needs to be taken in a different sense), but that is what it is. 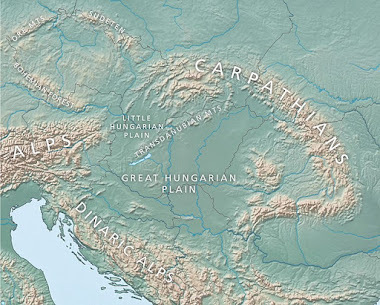 Anyway, based on the aDNA we now have, the closest thing to "ANI" ("Ancestral North Indians") are the people of the Sintashta/Andronovo horizon. It seems quite clear (from many solid and independent lines of evidence) that the genetic ancestry of Indo-Iranian South Central Asians like Pashtuns and Kalash is overwhelmingly derived from these people (or perhaps from their later steppe Indo-Iranian descendants, probably a combination of both). Pashtuns and Kalash seem to be around 60%-70% Sintashta/Andronovo (using both TreeMix and qpAdm, and d-stats posted by both David and Chad provide good support for this), with some 40%-30% admixture from a population with strong affinities to both the Caucasus and Southeast Asia/Onge (basically, a mix between West Eurasian and ENA, with the West Eurasian element resembling modern Caucasus populations). But that is a wholly separate issue from K8. @Senudzeit: They do provide such estimates in visual form in fig. 1c. (which you can see reproduced at my blog). They use "f3(Yoruba; MA-1, X)" and West and South Asians are never "more ANE" than Southern Europeans: in most cases same color as Sardinians, in others like mainland Italians, and other South Europeans. I guess the figures are numerically detailed in the supp. materials but haven't checked. The overall impression is that the ANE influence is much stronger in Europe (particularly the North) han in West and South Asia. Checking the SI text (very long), I can see the relevant info (but no figures, all graphs) in pages 95 and 96. Fig SI-21 plots 147 non-African populations according to their Ma1 affinity (i.e. "ANE") vs Yoruba. Basques appear to have the same ANE, almost exactly, as Pathans, Yukaghir and Bulgarians. Italians, who are a bit lower, score like Kazakhs and Uzbeks. Tuscans score like Sindhi, Turkmens, etc. And Sardinians score like Kannada, Armenians, Oroqen or Makrani. There are a lot of peoples with less ANE than Sardinians in Eurasia, notably East Asians but also Malayam, Paniya, Iranians and Druze. The ones with less ANE are Papuans/Melanesians and, even less, Palestinians and Naqab Bedouins (however in these two cases African admixture is probably a distorting factor). The stats you're referring to show affinity not admixture. You know the difference between the two, right? Europeans generally show more affinity to MA1 because they lack, or show much lower levels, admixture from relatively highly divergent sources, like Sub-Saharan Africa and South India. This is what dampens the affinity of West Asians and South Asians to MA1, but they do generally harbor higher levels of MA1-related ancestry, or ANE. Just look at the estimates for some Near Eastern groups; they are generally higher than for Europe. These estimates are also in line with my K8 results. "Also, it is strange that the Gedrosia component is constantly brought up, even though it is a construct obtained via ADMIXTURE in conjunction with solely modern samples, not anything even remotely based on formal methods in conjunction with aDNA". It is found naturally in Yamna and CW aDNA: their teal component is nothing else. But in any case you can't expect to have that component coming out of aDNA when there is not a single aDNA sample in all West Asia (excepted a handful of mtDNA ones), nor in South Asia. You can't demand pears from the elm tree. That model only works, with limitations, in Europe, not elsewhere. "Anyway, based on the aDNA we now have, the closest thing to "ANI" ("Ancestral North Indians") are the people of the Sintashta/Andronovo horizon". Judging on sequenced aDNA maybe. But that's beyond the point: West and South Asia continue being data deserts, so the best we can do is to estimate based on modern data, not aDNA from other remote regions. The Y-DNA flow of Z93 goes in the "wrong" direction and the autosomal models like Davidski's K8 are just founded on the wrong premises, so junk in: junk out, what is demonstrated with Raghavan's f3(Yoruba; MA-1, X) data. As simple as that. Your wishful thinking impedes you guys, once again, to see what is really going on, because you just accept convenient results based only on their convenience to your ideas. And then it happens: reality check!!! It was there all the time, if you would have bothered checking, anyhow. @David: "The stats you're referring to show affinity not admixture. You know the difference between the two, right?" Yes and no. I know that admixture creates affinity and that ADMIXTURE measures affinity (and not directly "admixture"). I also know that Yoruba (or take Mbuti or San if you wish) are equally akin to all non-Africans alike, that's how Neanderthal and Denisovan admixture was found: using San and Yoruba as reliable contrast. Definitely Indians are not "more African" than Europeans, rather the opposite, so the low Ma1 scores in Raghavan 2013 for Indians are not caused by any such problem (one can think such distortion affecting Palestinians and maybe even Europeans but not Indians). "Europeans generally show more affinity to MA1 because they lack, or show much lower levels, of admixture from relatively highly divergent sources, like Sub-Saharan Africa and South India". No. Europeans have some admixture from Africa, Indians (excepting Makranis and other neo-African populations) do not. South India may be a "divergent population" within Eurasia like East Asia or Melanesia are, but it is you who have chosen not to include it in your analysis. Otherwise they are as Eurasian as anybody else out of Africa. If you also excluded East Asian references, then East Asians would also score very high in ANE (falsely so). "Just look at the estimates for some Near Eastern groups; they are generally higher than for Europe". With your fallacious model only. In Raghavan they are systematically lower (depending what part of Europe, Sardinians are still in the low range but have more ANE than Palestinians and similar as Iranians or Druze). Scrap the last paragraph because I did not check the link, thinking it'd be another of your K8 data sheets. My bad. That is from Lazaridis if I'm correct and what it does is extrapolate the European triangle to West Asia. That approach is not really good because the triangle does not even work well for all European populations (Sicilians and Maltese are clearly out, for example), so much less for West Asia. You can't just follow up from there: that's a mere playful exercise that demonstrates nothing. In the recent Qasim Ayub et al. paper, all South Asian populations share more drift with MA1 than any European population (be it northern or southern European), and the Kalash can compete with Native Americans on this count! Something that should be noted. Regardless, I don't think you really understand what your'e talking about. I don't mean that to be snarky; I'm just being honest. Haven't read it, so I can't judge the results. "Regardless, I don't think you really understand what your'e talking about. I don't mean that to be snarky; I'm just being honest". Oh, speak plain: you are being snarky and you do that for lack of arguments. I don't think you understand the issue either but I wouldn't normally slap you in the face like that, only if you do first. @Seinudzeit: I just took a look to the Ayub-Mezzavilla paper (link, open access) and it does not substantially contradicts my claims. What is apparent (fig. 3a) is that the Kalash are outstanding in Ma1 affinity in the region (comparable to Russians, Yakuts or, they say, Native Americans - this last would be in partial contradiction to Raghavan but I guess that they're just considering they all are in the highest segment, the test is the same f3 with Yoruba as control). It is also very apparent that West Asians are very low in Ma1 affinity, lower than Sardinians, and that non-Kalash Pakistanis are intermediate between European and Sardinian/West Asian ranges. In fig. 3b (left) we can see instead a triangle that resembles in results what can be David's K8, made up of French, Han and Ma1. In it, not just the Kalash but also other Pakistanis appear to be much stronger Ma1 than what can be considered realistic per fig. 3a. This is (again) because local references are missing (neither French nor Han, or David's K8 "zombies", represent that underlying local references). Judging on Raghavan's data, I'd use Iranians and Malayam (instead of French and Han or whatever other European/East Asian references, almost pointless for the region), which are as low in "absolute ANE" as Sardinians (per Raghavan). So the Ayub & Mezzavilla study does not substantially alter the terms of the problem, rather the opposite: it confirms my stand. The only exception are the Kalash themselves, who are strikingly high in Ma1 affinity but who are also declared to be an isolate formed around 12,000 years ago. This in itself says something about when Ma1 (ANE) arrived to or was consolidated in the area around Afghanistan (always awaiting further complementary data).